A list of all of my online crowdfunding and alternative investments, across more than a dozen different platforms (spanning Real Estate, P2P loans, Angel/Venture, litigation finance and more). Prominent crowdfunding attorney Amy Wan recently posted a peek inside her crowdfunding portfolio over at Crowdfund Insider in the spirit of “walking the talk” when it comes to crowdfunded investing, and it was so much fun to read that she inspired me to follow suit by sharing my own crowdfunding portfolio. There’s still very little awareness among the general public about the choices available now among online alternative and crowdfunding investments, and so more show and tell can certainly be useful. I’m a rather omnivorous crowdfunding investor, and this post lists my crowdfunding portfolio across what’s now more than a dozen different platforms (spanning Real Estate, P2P loans, Angel/Venture, litigation finance and more). To be clear, these investments are all “risk capital”, meaning that this is not money that’s part of retirement savings or anyone’s college fund. You absolutely shouldn’t invest in one of these if you have any consumer debt (especially credit cards), and it’ll be a lot less stressful if you also have a solid 3-6 month emergency fund in an FDIC-insured bank account or laddered CDs. I am also not a professional financial adviser, and you should not rely on anything here to guide your own investment decisions. That said, you can now invest in most of these categories of investments (if not these particular platforms) with very low minimums, and small experiments with $50-$100 can teach you a lot about the process that will serve you well when you’re ready and wiling to put more money into alternative investments down the road. Within each category of investments in my crowdfunding portfolio, I’ve organized these by investment platform. While most of the platforms listed below are currently only open to accredited investors, Wefunder, MicroVentures, Prosper, Lending Club, and LendingRobot all have offerings open to anyone. You can find more details on these and more than 80 other crowdfunding investment platforms in our database. Most of my career to date has been in and around the technology industry, including the opportunity to meet with a lot of startup founders and successful entrepreneurs. So for me this was the most appealing category to start with in building out a crowdfunding portfolio. My very first crowdfunding investment was on FundersClub in BoostedBoards, an electric skateboard company. While I’ve been happy with the investment so far, in hindsight I realize that while I was enthusiastic about the product and potential (I even bought one of the boards – they’re totally awesome! ), I didn’t have much direct knowledge of the market, the technology, or the supply chain to really back up my choice. 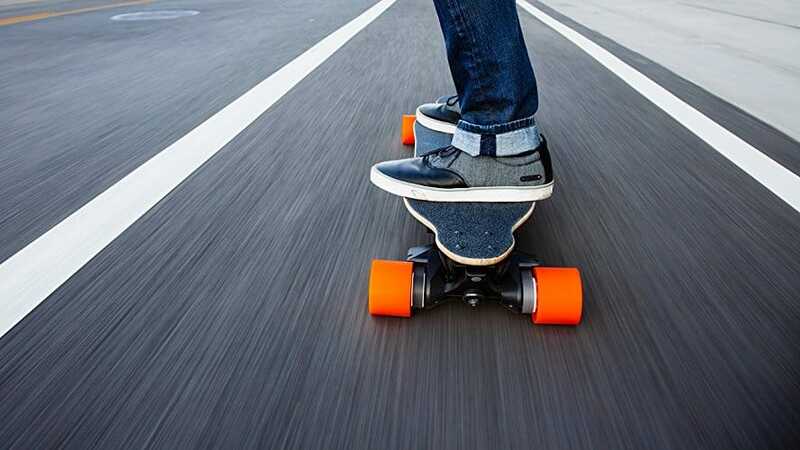 Boosted has continued ramping up their production capacity and launched lighter and faster boards. I’m very bullish on electric vehicles in general, and like that they’ve got solid patent protection around key parts of their technology. More recently through FundersClub I also invested in LeadGenius, a B2B sales SaaS company. I was the CEO of a company that sold a B2B product for 5 years, and through that experience became quite familiar with the challenges and opportunities around lead generation for B2B sales (if you want to learn more, check out the excellent CatalystSale podcast, from my former colleagues Mike Conner and Mike Simmons). Another early crowdfunding investment, through Wefunder I invested in Goldbely, a curated marketplace for ordering local and regional food favorites nationwide. As with Boosted, although this was a product I was excited to use myself, I don’t think I fundamentally understood the business as well as one should before making an investment. I chose MicroVentures for my first foray into later-stage investing through one of their funds (“MV VC Fund IX”), which targets secondary investments (ie buying out earlier investors) in later-stage companies. I was attracted to this one because while the potential returns are likely lower than an earlier stage investment, the fund targets companies expected to have a liquidity event relatively soon (they even specify which companies they’re targeting, though I can’t share that publicly). The placement fee was on the high side, but the fund takes a much lower carried interest charge than a lot of other funds. I wouldn’t recommend AngelList as the very first place for an equity crowdfunding investment, unless you personally know the company raising or the syndicate lead (and if you’re not sure what those terms mean, then you definitely should start somewhere else). After getting a patient education from someone I knew through my professional network who was an experienced syndicate lead there, I went in on a handful of investments with him, including PreNAV (a drone company), and ProtectWise, an enterprise security company. More recently my angel interest crossed over with real estate when I invested in another syndicate for Flo Technologies, a water meter that can detect leaks by sensing tiny abnormalities in water flow, and shut the water off to prevent major water damage. As someone who’s had at least one serious leak in every single home or apartment I’ve ever lived in, I’m either terribly unlucky or there’s a clear and obvious market for this kind of product. Hedgeable is primarily a roboadvisor, but they have an additional Venture feature not available from others like Betterment (which has lower fees and is a great choice too). Hedgeable’s Venture feature is only available to accredited investors, but with no minimum investment, it is an outstanding value for getting really broad diversification into several quality funds for much less than it would have taken to invest directly in each. I was initially drawn to P2P loans by the advertised returns and the regular cash flow, but I’ve since paused putting any new money into them (though am reinvesting what is earned). As I learned more about other choices, I’ve grown increasingly concerned about exposure to too much unsecured consumer debt within my crowdfunding portfolio. The two main players in consumer P2P lending are Prosper and LendingClub, and while I have direct accounts with each, I’ve switched to having my investments in both managed through LendingRobot. They provide a tool for automating your P2P loan investments, with a range of choices for controlling quality and quantity of loans purchased. I found it much easier to dial in the risk profile I was looking for using their tool than trying to replicate it within each platform’s automated investing feature. While they do charge a fee of 0.45% of principal invested, that’s only charged on amounts above $5,000 ($10,000 if you use this link), so it’s easy to give it a try for free. You can also read much more about my early journey into the real estate portion of my crowdfunding portfolio in Baby Steps: Getting Started with Crowdfunded Real Estate. PeerStreet was where I made my very first crowdfunded real estate investment. I had spent more than a month researching different platforms and investments, and was having a difficult time pulling the trigger on any of them. Eventually I concluded that the most important thing was to focus on learning, so I worked on finding the smallest reasonable investment I could make just to get the practice, which was $1,000. It was debt financing for a fix-and-flip loan in Brentwood CA. While one of the monthly payments was a few weeks late, overall the loan has performed as expected and should be completed later this month. Update: Although the principal was scheduled to be paid back at the end of May, as of July it is still outstanding. As is sadly common with platforms like PeerStreet operating at really high volumes, there’s inadequate customer communication. The only reason I knew there was an issue was after logging in to my investor dashboard to see a message about the borrower being unable to secure refinancing. While anyone who’s bought, sold, or refinanced their own real estate knows that delays come with the territory, it’s a reminder of the inherent risk with these kinds of investments. Patch of Land was home to my first commercial real estate investment, a debt investment funding the rehab of a sports complex in Tinley Park, Illinois, which is a suburb of Chicago. Having grown up in the Chicago suburbs myself, and with lots of friends and family still scattered throughout, I felt good about the market and the thesis behind the renovation. Although my two direct real estate debt investments have worked out so far as projected, I quickly concluded that no matter how thorough the due diligence, the only way to effectively reduce the default risk on a debt investment was to diversify, and doing so with individual loans at $1,000-$5,000 each just wasn’t an option. So I was thrilled to discover AlphaFlow’s “Diversification Fund” (I invested $10,000 in Fund 2), which has since been replaced by something even more compelling, an automated managed portfolio sort of like LendingRobot, spreading your investment across multiple platforms and markets. Fundrise is clearly a controversial player in this space. With a bit of an air of scandal following the departure of their CFO (though they’re not the only ones to deal with legal troubles), they seem to provoke rather strong opinions. And as Ian Ippolito over at the excellent Real Estate Crowdfunding Review points out, there’s some questionable components to their model that are worth a closer look. But Fundrise is also one of the few choices in real estate for non-accredited investors (RealtyMogul’s MogulREIT, which is also worth a look, wasn’t launched when I invested in Fundrise), along with Rich Uncles. I’ve invested in both Fundrise’s Income eREIT and their Growth eREIT. EquityMultiple is home to my most recent real estate investment, made after I stopped looking at individual debt deals, and decided that the energy and time were better spent on looking at equity deals. Among all of the investment choices for building out my crowdfunding portfolio, I find real estate equity investments the most fun overall to participate in. If it’s straight debt investing (like P2P loans or real estate loans), then it’s ultimately just a diversification and numbers game. When it’s startup equity, it can be super fun to play “Shark Tank” and dig deep into a company’s pitch and prospects, but then maddeningly difficult to meaningfully monitor progress against any sort of likely liquidity event. The real estate equity deals are a happy medium, with plenty of raw numbers to crunch, a nice sprinkling of sometime-subjective analysis of a sponsor or a market, and a clear path to liquidity with detailed models to track against along the way. 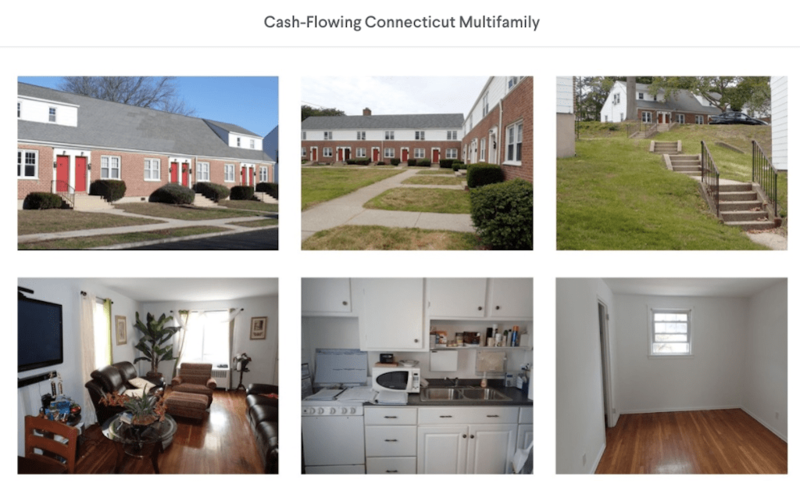 Through EquityMultiple I invested in a multi-family apartment building in Groton, Connecticut, fairly near where I’m currently living. The area is heavily dependent on military contractors and health care, both of which I expect to perform strongly over the next few years. 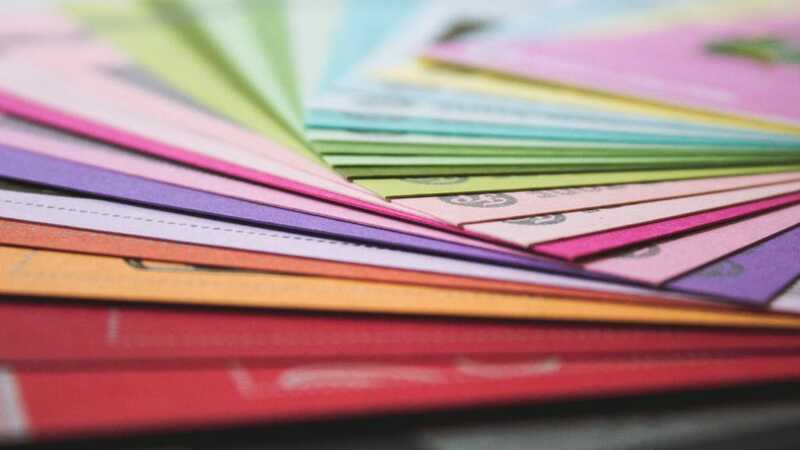 In addition to Startups, P2P Loans, and Real Estate, there are a handful of other kinds of online alternative investments that have sprung up, and to date I’ve done two investments outside of those categories to round out my crowdfunding portfolio. YieldStreet does offer some standard commercial real estate opportunities, but they also have a nice mix of “exotic” asset-backed investments (at one point you could invest in a loan secured by an NBA player’s contract!). I chose to invest in a loan that was for funding the expansion of a ride-sharing fleet, secured by the cars themselves. In the long run, I do expect autonomous vehicles to dominate, but on the horizon of the investment (2 years), was comfortable it was a good risk. This is one I consider among the more speculative investments in my crowdfunding portfolio. I first read about LexShares and litigation financing in a Wall Street Journal article, and it was soon quite obvious I wasn’t the only one who was intrigued – the next investment that went live on LexShares after that article sold out within minutes. Litigation financing is providing money to a plaintiff in order to fund a lawsuit in exchange for a portion of the award (if any) recovered during a trial. I have reservations about litigation financing that involves personal injury and individual litigants, but in the case of LexShares, the investment was in a commercial lawsuit between two businesses, and so I was comfortable that everyone involved was going into it with a clear understanding of the mechanics and terms. Motif Investing. When Covestor originally launched, the model was that you’d share your own stock portfolio, and if other investors shadowed yours, you’d get a cut. They’ve long since pivoted, but Motif has emerged with something a bit similar. You can construct (or just follow) “Motifs” of stocks and ETFs. Personal Capital. I’ll be checking out Newchip which Amy mentioned in her post, but for now use Personal Capital to track my accounts (like bank accounts, retirement, etc, as well as my crowdfunding portfolio investments). Although a handful of the crowdfunding platforms can be automatically tracked (like Fundrise and Prosper), most of these kinds of investments have to be entered and updated manually in Personal Capital. While there’s no question some investments (and platforms) will fail along the way (especially when the market turns south, as it always does eventually), in the long run I think we’re living through a really important new development in the evolution of capital markets, and it’s fun to be a part of it.